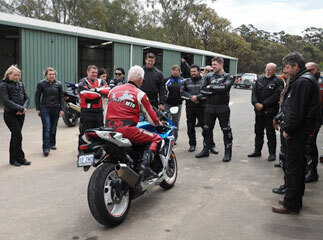 A Check Ride is required to be undertaken prior to undertaking the motorcycle licence assessment. 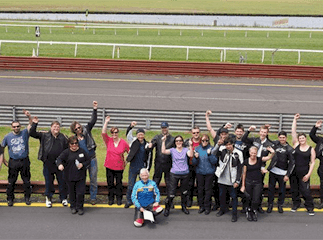 It is mandatory the Check Ride takes place at least 4 weeks prior to the date of the motorcycle licence assessment. 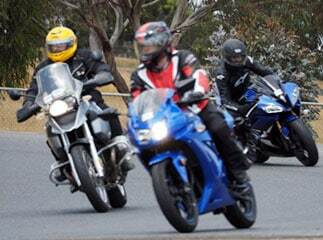 Some motorcyclists take advantage of having more than one check ride to enhance their onroad skills. Check Rides prepare you for your licence assessment and is a great opportunity to receive feedback regarding your riding skills. More details regarding the Check Ride are available at this link. Check Ride. Any questions – Give our office a call or email us with your queries. M-GLS. 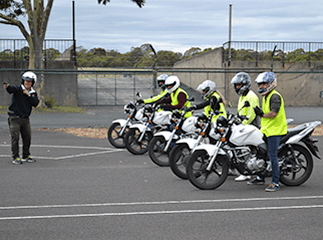 The duration is approximately 1.5 hrs and is purely an assessment of the student’s practical skills and road safety skills on a motorcycle. The assessment is conducted one-on-one with our instructor and following a brief diagnostic skills ride on our training range the student and instructor head out for the on-road assessment, with the instructor following the student through short riding stages in varying, typical road and traffic situations.